You may know that Google uses about 200 factors when ranking a website. Some factors have been confirmed, others are speculative. We’re not going to dive into all 200, but we are going to focus on the most important real estate website SEO factors. 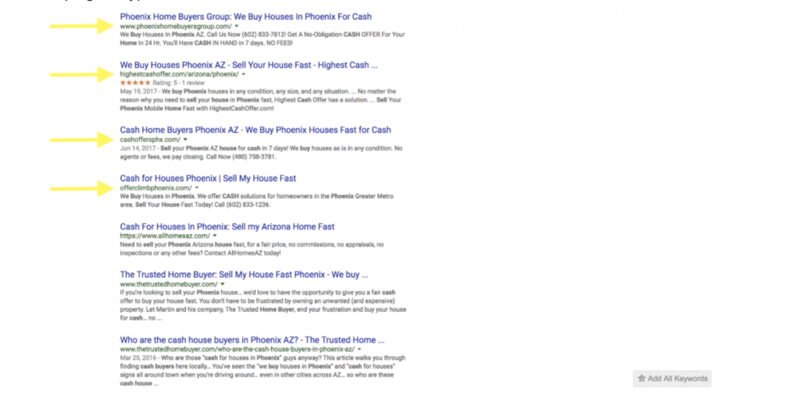 What Does SEO Mean In Real Estate? Maybe you don’t know this, but SEO is not a real-estate specific term. SEO stands for Search Engine Optimization and it refers to the act of trying to optimize your website to show up in search engines (like Google, Bing, and Yahoo) according to the algorithmic, semantic preferences of the targeted search engine. SEO is usually achieved by including specific keywords on a web page that quickly tell search engines what the page is about, generating high-quality links to a specific page, using relevant anchor text, and producing consistent long-form pieces of content. In the end, search engines want to deliver high-quality, relevant, and trust-worthy results to searchers. Now, I’m going to break down five things you need to consider for your own real estate website’s SEO — so that you can fall among the few who actually show up to searchers. We have all heard the phrase “content is king,” and as much as I dislike that phrase, it’s true. Content is still extremely relevant in 2018 and there seems to be a direct correlation between unique and relevant content and ranking well in Google. 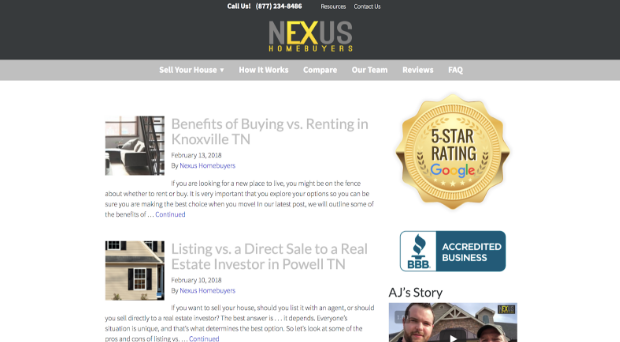 That’s why Zach with Nexus Homebuyers consistently posts relevant content on his blog. Not only does your content need to be both unique and relevant, it needs to be lengthy. An article’s length, or word count, provides the user with in-depth information and therefore appears more trustworthy. And the larger the search volume for your target keywords, the longer your content needs to be. The exact ideal length of an article is debatable, but the research indicates a word count of at least 600 words for low search volume keywords (1-100) and 725 words for high volume keywords (10,000 plus) is workable. 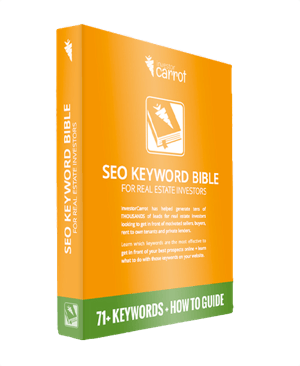 If you want to find out which real estate SEO keywords to target and how much competition each keyword phrase has (without doing any of the work), you can download Carrot’s free SEO Keyword Bible for Agents or their SEO Keyword Bible for Investors. Additionally, Google is focusing more on keywords within your content as opposed to the title tag, H1 tag, and meta description. According to a searchmetric’s study, keyword inclusion in the title tag, H1 tag, and meta description is decreasing year over year, which indicates Google is giving more weight to how relevant your content is. There is a very strong correlation between the pages in position 1-6 and content relevance. Optimize your content length for the competitiveness of your target keyword phrase. Create relevant and genuinely helpful content (not just content created for search engines). For many years, backlinks were the foundation for a website’s rankings. A strong backlink profile used to be the main focus for real estate website SEO, but lately there has been a decline in backlink relevance. Today, backlinks are important but they are also just one of the many contributing signals when ranking a website. Looking forward, I expect to see a continued decline in backlink relevance in the coming years. Their study confirmed that the number of referring domains, follow-backlinks, backlinks, anchors, and referring IPs all had a direct impact on rankings. In other words, the greater the number of these factors, the higher the webpage ranked in the SERPs. Also, note that spamming links to a web page is not an acceptable practice. Instead, create a natural link building profile using only white-hat link building techniques such as guest posting on relevant and high domain-authority blogs. Keyword presence in the anchor text rarely occurs in web pages ranking in the top position. This is true in both high and low search volume keywords. Of all the backlink factors, this has the least effect on domain rankings. But, again, that doesn’t mean you should ignore it. In fact, if you want the best chance of ranking in Google, then pay special attention to all six backlink factors — not just the pretty few. How Many Backlinks Does it Take to Start Ranking Your Real Estate Website in Google? In today’s age, keyword stuffing will no longer work to rank your site for a particular search phrase. 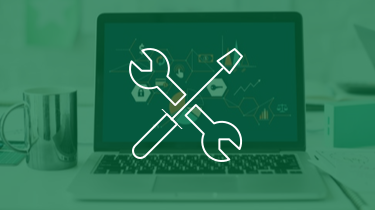 Instead, the research shows that including your target keyword phrase in your main on-page elements such as your title, meta description, and body of the page does have a positive correlation to ranking your site. The data shows that the top-ranking sites include their keywords in these items, but it is not a significant factor when ranking a site. However, just because something is not a significant factor, does not mean you should ignore it. Google still uses your title, meta, and body to determine what the page is about, so you still need to include your main keyword in these items. According to SearchMetrics, research has also been shown that it is more important to create content focused on your keyword as opposed to using your exact match keyword itself. Google evaluates content on its relevance, and not by the inclusion of individual keywords. The bottom line, make your content relevant to your topic instead of keyword stuffing. Technical factors remain an extremely important prerequisite to ranking a webpage. Even if the content is extremely relevant to the user, it is very difficult to achieve a top ranking in Google if the page is not easily accessible, easy to read, and technically optimized. Year over year, the existence of an H1 and H2 code has risen for the top ranking pages. This may seem obvious, but if you’re not making use of H1 and H2 tags, you could be leaving a valuable advantage on the table. Try your best to include your target keywords within these tags — but be careful not to ruin a compelling title for the sake of a keyword phrase. HTTPS is growing year after year and this year is no different. With cyber security becoming a main focal point, encrypting your page will be a huge advantage. Google has even stated that websites that have not switched to HTTPS will be marked as unsafe in Chrome. This will continue to push the web toward HTTPS encryption, and those who don’t adapt will fall down the SERP. Fortunately for Carrot members, Carrot allows you to integrate SSL certification (or HTTPS encryption) on your website for free and with a single click. 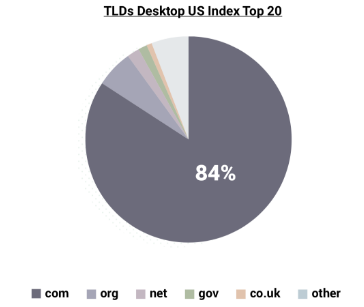 TLD rankings, or Top-Level Domain rankings, focus on the most important component of a domain name. 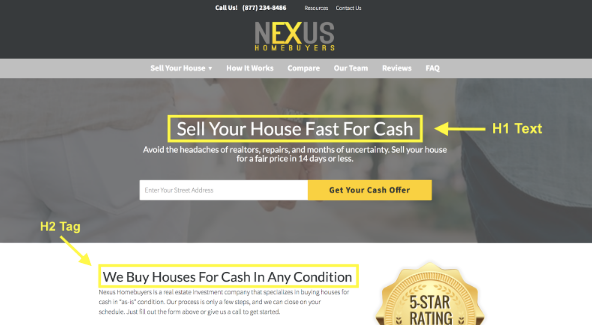 For example, in http://www.nexushomebuyers.com, the .com indicates the TLD. In the last couple of years, the presence of .com pages in Google’s top 20 rankings has increased significantly. According to SearchMetrics, this is attributed to the fact that Google tends to give more significance to .com TLDs, increasing their ranking. The bottom line, try to use a trusted TLD such as .com on your site if possible. Site speed, not to be confused with page speed, is measured by “time to first byte,” which means how long it takes for your browser to receive the first byte of information from the web server. Site speed is important because a slow website will result in the search engines crawling less pages with their given crawl budget. 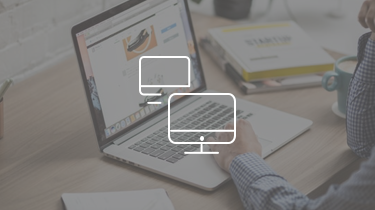 This can negatively impact the indexing of your website’s pages. Which is why Carrot does everything they possibly can to deliver speedy real estate investor websites and real estate agent websites to their clients. Going along with a slow site speed, slower page speeds tend to have higher bounce rates and a lower average time-on-page. 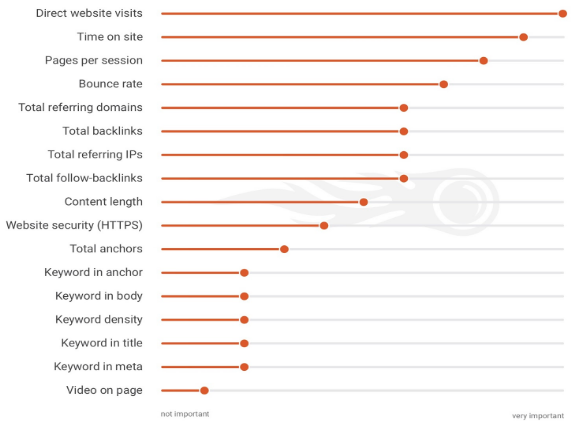 SEMrush has come out with a study stating that three out of the four highest factors for ranking a webpage are time-on-site, pages-per-session, and bounce rate. All of which can be negatively affected by a slow site and page speed. Your webpage should also be mobile friendly and load faster than your desktop site. URL length has increased an average of 15% since last year and this is probably due to Google choosing specific landing pages for more relevant content as opposed to home pages. The big thing to take away from this is that almost all URLs in the top 20 rankings are under 60 characters in length. Make sure you are shortening your URLs as much as possible while still keeping your keyword phrase in the URL itself. We can’t talk about technical factors without touching on mobile-friendly web pages. As our society continues to rely on our smartphones more and more, the importance of mobile-friendly websites increases. 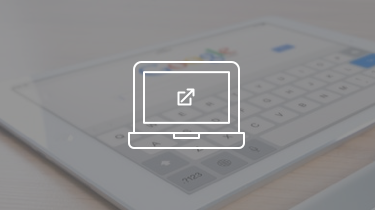 Google has announced that it is switching to a mobile-first index which will mean it is no longer optional to have your website mobile-friendly. A mobile-first index means Google will create and rank its search listings based on the mobile version of the content, even for listings that are shown to desktop users. This means that the consequence of having a site that does not perform well in mobile searches could also negatively affect desktop searches. 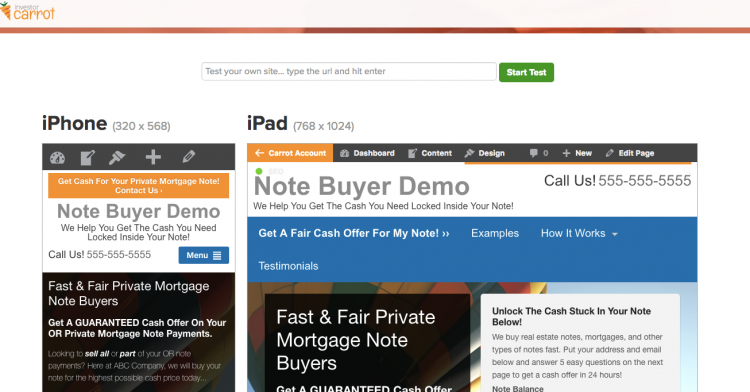 You can test your site for mobile friendliness here. These signals are so important because they reflect a direct way to assess how relevant the content is to the user. Search engines can now draw conclusions about user satisfaction in regards to whether or not the search result was able to fulfill the searchers need. In essence, it helps Google show the most relevant pages for the user and improve overall user satisfaction. According to SEMrush, direct website visits is the one of the most important factors when ranking a website. Since website traffic is a good indicator of how popular a domain is, Google seems to give priority to domains with more website traffic. This also means you should focus on more than organic rankings. Since direct visits are driven by brand awareness, building a strong brand image should be an essential focus in your SEO strategy. You can see the result of SEMRush’s research on ranking factors below. Click-through rate or CTR is the average percentage of users who click on a result at each position in the search engine rankings. The higher the CTR, the more users find that that particular website meets what they are searching for. According to Search Metrics, the number one position received a 44% click-through rate, while the number 3 position received a 30% click-through rate on average. They consider CTR to have the strongest correlation of any other ranking factor to ranking high in Google. The bounce rate refers to the percentage of users that click on a URL in the SERPs and do not visit another page on the site before returning to Google. This can be deceiving, however, because once a user’s intentions are fulfilled, they can leave the page. So in and of itself, bounce rate is not a strong indicator of a page’s relevancy (unless time-on-page is also low, of course). As Google and other search engines continue to focus on providing relevant content to the user, the bounce rate may continue to go up as users find exactly what they are looking for on one page. According to Google Analytics, the average bounce rate for the real estate industry hovers around 50%. The length of time a user spends on a site can indicate how well the site is serving the needs of the user. If the site is providing information to satisfy the user’s query, the time on site will be longer. This also needs to be taken with a grain of salt, because as Google’s algorithm gets better and provides users with more exact information, the average time on site will decrease. Results that fall on the first page of Google for their target keywords see an average time-on-page of three minutes and ten seconds. Pages per session shows how many pages a user goes through on a website during one session. This is a good indicator of how engaging your content is and how relevant your information is to your user. There is a direct correlation between ranking higher in Google and an increased page per session. On average, the pages per session for high-volume keywords runs from 3-3.5 pages. Whew….I know that was a lot, but that is an in-depth look at 5 of the most important ranking factors for a real estate website. If you take only one thing from this article, understand that Google and other search engine providers are moving toward an increase in positive user experience. Users want the correct information without sorting through multiple web pages to find it. As Google continues to provide more relevant information to users, you as a marketer and real estate entrepreneur need to continue to provide AMAZING content. If it isn’t amazing, don’t post it. Plain and simple. What do you think is the most important SEO factor for ranking your website on Google? 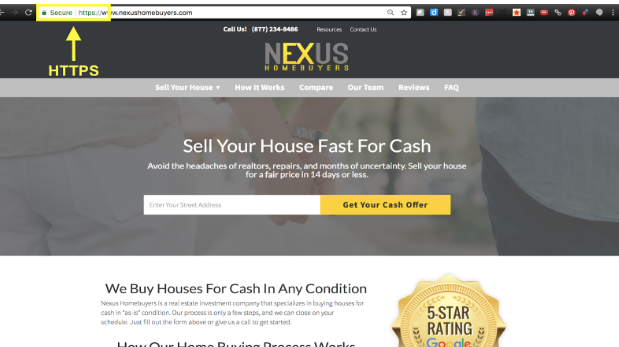 Matt Bigach is the co-founder of Nexus Homebuyers Nexus Homebuyers and Reibar Marketing. He has been investing in real estate since 2015 and has been a part of rehabs, new construction, and development in the Nashville and Knoxville Tennessee markets. He also bought his first 3 rentals last year and plans on adding at least 50 more units in 2018. He spends his free time traveling with his fiancé and “fur baby”.